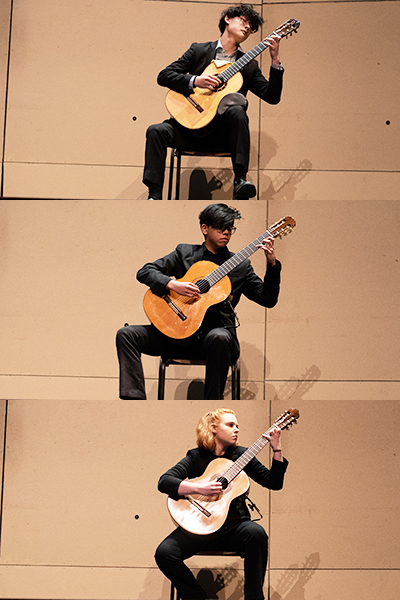 The UNLV Performing Arts Center hosted its second annual classical guitar competition on Sunday, March 17, 2019. In the preliminary round beginning at 1 p.m., 11 students from area schools presented one piece. Students were judged on technique, form, musicianship, repertoire, and performance. In the final round that started at 2 p.m., the top three students presented two pieces. Participating schools included Clark High School, CSN High School West, Green Valley High School, and Las Vegas Academy of the Arts. Kyle Khembunjong (CSN High School West) won the competition and received a New World Guitar 2017 Player Series Spruce and Indian Rosewood Guitar, donated by premier sponsors, Dr. Mitchell & Pearl Forman. Andrew Amaya and Summer Mower (both from Las Vegas Academy of the Arts) tied for 2nd place. 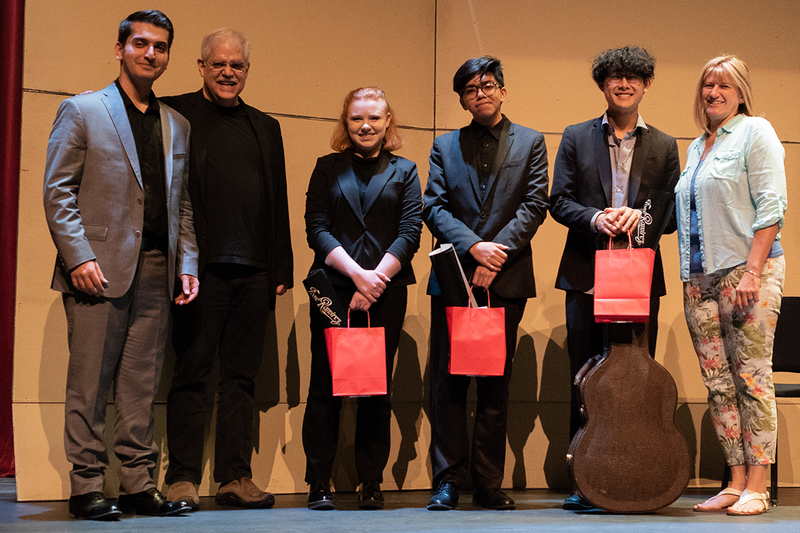 Competitors received José Ramirez strings, Shubb capos, and vouchers for tickets to see some of the guitarists on the 2019-2020 UNLV Performing Arts Center season. The 3rd Annual Guitar Competition will be Sunday, March 22, 2020.